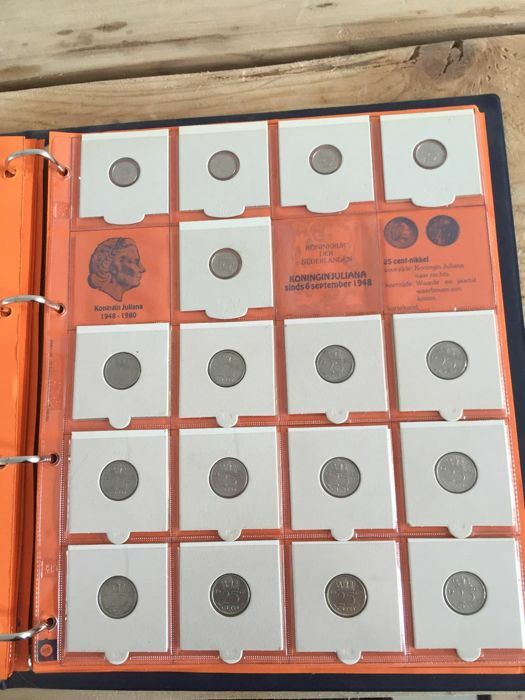 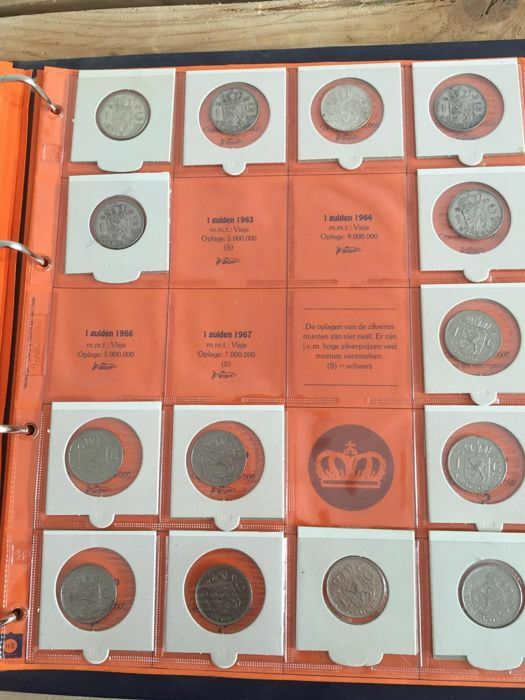 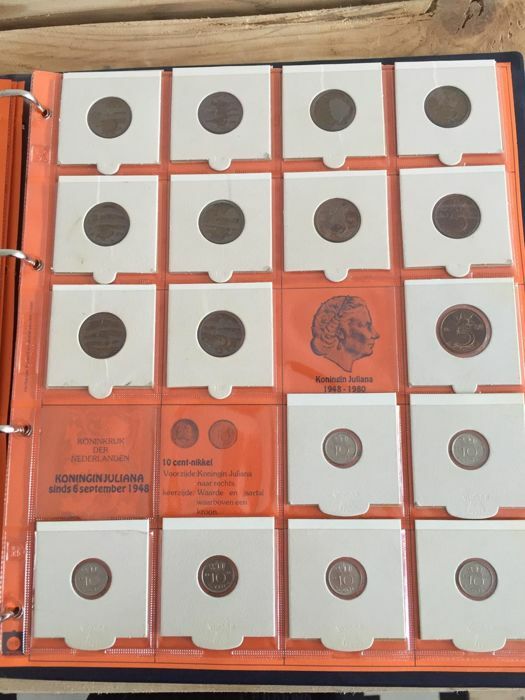 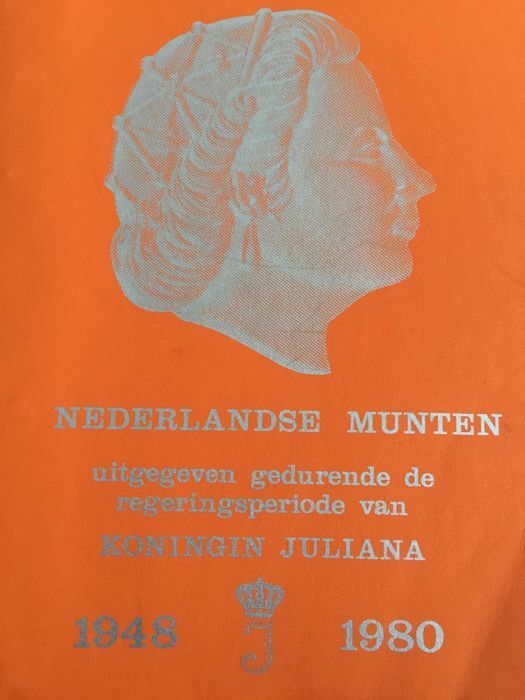 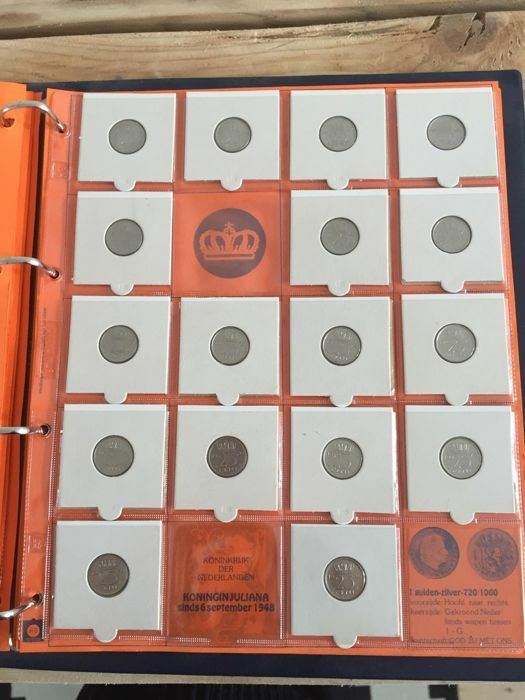 Coin album from the reign of Juliana. 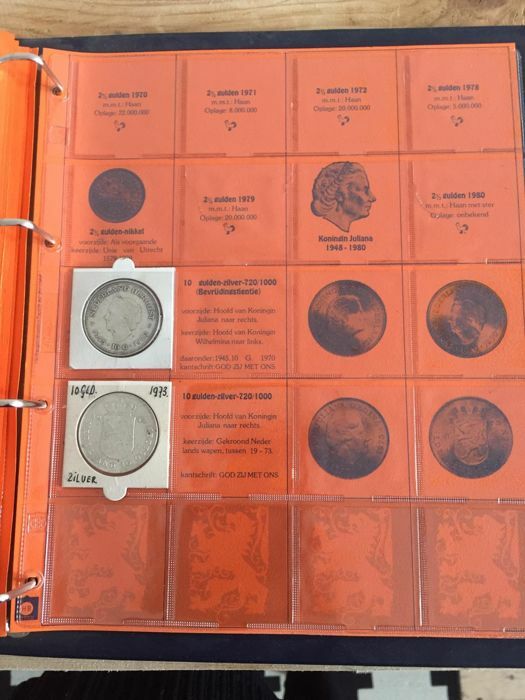 Not entirely complete. 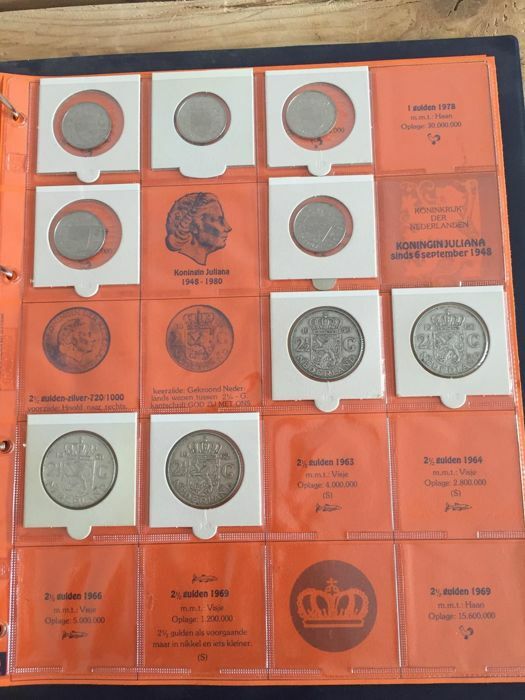 Including 2 silver 10 guilder coins.